Holland America Line is cultivating the expertise of the seven members of its award-winning Culinary Council by entrusting each chef with a designated onboard dining experience to enhance and elevate. The Culinary Council comprises a collection of elite international celebrity chefs who bring global influence to every dining venue across the fleet. The Culinary Council is led by Holland America Line’s Master Chef Rudi Sodamin, who is joined by international chefs Jonnie Boer, David Burke, Elizabeth Falkner, Andy Matsuda, Ethan Stowell and Jacques Torres. 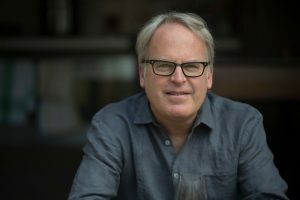 Holland America Line also just announced a collaboration with wine critic James Suckling to curate its wine lists and works with master mixologist Dale DeGroff on its cocktail program. Sodamin oversees all aspects of onboard dining, in addition to bringing his influence and expertise to Rudi’s Sel de Mer. The popular French brasserie is a standalone venue on Koningsdam and Nieuw Statendam and is featured on other ships through special pop-up dinners in the Pinnacle Grill. Sodamin was born in Austria and trained in France. He recently released his latest culinary masterpiece, an art table book called “Food Faces” that features more than 150 vibrant images of edible creations that display a whimsical spectrum of human emotion. His innovative approach has made him the most decorated chef on the world’s oceans. Jonnie Boer will bring the flavors of his internationally acclaimed restaurant, De Librije, on board select sailings through special Taste of De Librije evenings in the Pinnacle Grill. Dutch-born Jonnie Boer is the driving force behind De Librije, a regional, fine-dining restaurant in the Netherlands. Recognized as one of The World’s 50 Best Restaurants, De Librije has earned a three-star Michelin rating every year since 2004. At the forefront of the culinary arts and a recurring judge and competitor on the Food Network, Falkner will be introducing a variety of new, lighter fare to venues across the fleet. Frequently interviewed and quoted on healthy cuisine and eating habits, she is an advocate for people and chefs to think more like athletes and “stay fit to cook.” Falkner does both savory and sweet, traditional and modern and has earned accolades for her ground-breaking San Francisco, California, shop, Citizen Cake. The newest member of the Culinary Council, Matsuda will lead sushi offerings in Lido Market as well as the sushi menu available in Tamarind on select ships. Aboard Nieuw Statendam, Matsuda’s creations will be featured at Nami Sushi, the new sushi bar inside Tamarind. The Japanese-born chef is at the forefront of sushi trends and techniques. At Matsuda’s Sushi Chef Institute in Los Angeles, California, he teaches aspiring chefs and professionals about sushi and Japanese cuisine. A recent addition to the Culinary Council, Stowell will bring the unique flavors of Alaska and the Pacific Northwest on board ships sailing in the region. Also known for his pasta and Italian dishes, Stowell will introduce several of his recipes at New York Pizza and select Lido Market stations on all ships. With an impressive roster of highly acclaimed restaurants, Stowell has helped to change the face of the Seattle food scene. He was named one of the Best New Chefs in America by Food & Wine magazine in 2008 and chosen as one of the Best New Chef All-Stars in 2013. A world-renowned chocolatier known as Mr. Chocolate, Torres will guide masterful chocolate desserts for Holland America Line’s dining venues, as well as the Chocolate Surprise Dessert Parade featured on the last gala evening of every cruise. A French-trained Master Chef and artisan chocolatier, Torres is a James Beard Award recipient. After rising to executive pastry chef at New York’s legendary Le Cirque, he opened a chocolate factory and stores throughout New York. Torres is co-hosting and head judge on the new Netflix culinary show “Nailed It” with Nicole Byer. Debuting March 9, the reality contest program pits home bakers against one another attempting to recreate edible masterpieces. Luxury expedition cruise specialist Silversea has announced that renowned primatologist Dr. Biruté Mary Galdikas will join two Silver Discoverer voyages in 2019 as a guest lecturer. Internationally recognized for her studies and work with the orangutans of Indonesian Borneo in their natural habitat, she is considered the world’s foremost authority on the orangutan. A duo of expedition cruises with departures on June 24 (Darwin to Bali) and July 9 (Bali to Singapore) will explore the exotic islands of Indonesia, with an overnight stay in the port of Kumai, gateway to Tanjung Puting National Park and its legendary Camp Leakey. Operated by Dr. Galdikas’ non-profit Orangutan Foundation International (OFI), Camp Leakey is the site of the anthropologist’s pioneering research in the wild. Silversea is the only cruise company partnering with Camp Leakey to offer its guests such exceptional wildlife-focused experiences. For each guest on these special voyages of Silver Discoverer, Silversea Expeditions will donate $100 to the non-profit Orangutan Foundation International, a 501(c) (3) charity (Orangutan.org). During an enriching onboard presentation, Dr. Galdikas will share insights from her many years devoted to the study, care and preservation of endangered orangutans. Additionally, she will lead a private tour to Camp Leakey, where guests can experience close-up encounters with these amazing animals. Immersed in magnificent tropical scenery, guests may also spot proboscis monkeys, gibbons and macaques, as well as birds from more than 200 species. In the company of Dr. Galdikas, Silversea guests will also be granted rare access to the OFI’s Orangutan Care Center and Quarantine facility located in the village of Pasir Panjang. The rehabilitation center is home to numerous orphaned, sick or injured orangutans, and is normally closed to the public. Throughout her life, Dr. Galdikas has fought tirelessly for orangutan conservation. After meeting with Kenyan anthropologist Dr. Louis Leakey in 1969, she expressed her desire to study the orangutan in the wild. It took three years for Dr. Leakey to secure the funding and support for Dr. Galdikas to begin her research. To honor her mentor, she named her first camp after him. Among her many awards, Dr. Galdikas was the first non-Indonesian born person to receive the prestigious Kalpataru award, the highest honor given by Indonesia for outstanding environmental leadership. Luxury cruise brand Cunard today unveiled its ‘Oceans of Discovery’ voyage program featuring sailings from November 2019 through April 2020. Flagship liner Queen Mary 2 along with Queen Elizabeth and Queen Victoria will call at 123 destinations in 48 different countries, including 10 exciting maiden calls in Japan, Australia and Papua New Guinea. The World Voyage, by Cunard: Pioneering the concept of world cruising in 1922, Cunard has undertaken more world voyages and sent more ships around the globe than any other passenger line. In 2020, Queen Mary 2 will offer the only true World Voyage lasting between 99 and 113 nights. Grand Voyages, by Cunard: These itineraries offer more days at sea with the luxury of time, and call on the world’s most iconic ports, creating unforgettable journeys. Regions of the World, by Cunard: These carefully curated voyages showcase the most fascinating regions on earth, balancing the exploration of shore days with the serenity of time at sea. Cunard World Club members will be able to book exclusively beginning on March 19, 2018, and booking will open for the public on March 20, 2018. Queen Mary 2 will operate Cunard’s only World Voyage in 2020 and will undertake her classic East-West Voyage to Australia and Asia, including the Mediterranean, Arabian Gulf, Indian Ocean and Southern Africa. The World Cruise can be taken as a round-trip from either New York (113 nights) or London (99 nights). Shorter voyage options range in length from one-to-three weeks and can be combined in many ways allowing guests to create the ideal travel experience to the iconic cities of their choice. The beginning of the voyage is routed via the Mediterranean Sea and Suez Canal to the Arabian Gulf and across the Indian Ocean, entering Asia via the Malacca Straits. From there Queen Mary 2 will head north via Vietnam to Hong Kong before heading south to Australia. The final leg of the voyage is the return to London from Australia, which is routed via South Africa. The voyage includes more overnight stays than in any of Queen Mary 2’s world voyages in the past 10 years. In December 2019 and the first half of 2020, Queen Elizabeth will offer a series of round-trip voyages from international ports with deeper, richer and more regionally-focused itineraries. In between these deployments will be exotic grand voyages that capture the imagination and spirit of adventure in travel lovers across the world. Queen Elizabeth will operate six round-trip voyages from Melbourne and two from Sydney, covering the popular regions of South Australia, Tasmania and New Zealand as well as a new itinerary that features the exotic paradise of Papua New Guinea with maiden calls in Conflict Island and Kiriwina. The ship will offer multiple sailings in Japan, making five maiden calls to Japanese ports in 2020. Grand Voyages, by Cunard and Regions of the World, by Cunard. Queen Victoria’s winter deployment consists of a series of European departures in November and December 2019, followed by an exotic winter escape round-trip experience to South America that offers a mix of relaxation and exploration. 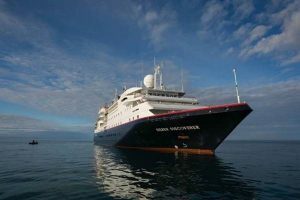 The ship will offer longer stays in ports such as Rio de Janeiro and Buenos Aires, as well as overnights in Manaus, Rio de Janeiro, Buenos Aires, and Callao for guests to immerse themselves in the beauty and vibrancy that South America has to offer. Stunning scenic cruising will include the Amazon River, the Magellan Straits, Cape Horn, the Chilean Fjords and the Panama Canal. For full details and terms about Cunard’s 2020 Voyage Program, please visit http://www.cunard.com/cruise-types/winter-highlights/. Princess Cruises celebrated the premiere of “The Secret Silk,” the newest offering from it’s first-of-its-kind partnership with Stephen Schwartz, the Oscar-, Grammy- and Tony Award-winning composer of “Wicked,” “Godspell,” and “Pippin.” Joining Schwartz aboard Royal Princess for the premiere was the Tony Award nominated director/creator John Tartaglia (“Avenue Q,” “Shrek”). 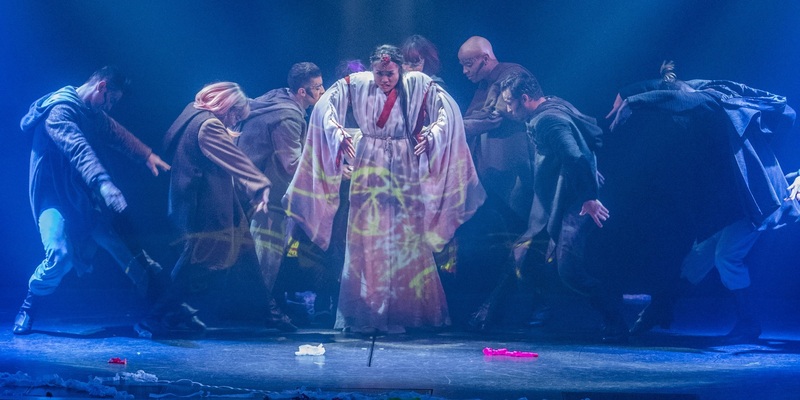 The Secret Silk is a story of an Asian folkloric tale with a contemporary spin, featuring inspired performances through the use of music, dance, puppetry and special effects. Adapted from the ancient fable “The Grateful Crane,” the story features Lan, a beautiful, selfless young woman who possesses a magical gift, secretly creating brilliant silk fabrics. Audiences will be introduced to original life-size puppetry from Jim Henson’s Creature Shop, and an original song, “Sing to the Sky,” both created exclusively for the production. Overseeing the creative development of four entertainment shows for Princess Cruises, Schwartz brings together an illustrious team of Broadway talent to support the productions through direction and design. “The Secret Silk” is created and directed by Tartaglia and in addition to Royal Princess, will be rolled out on Island Princess for the 2018 summer Alaska season, and Diamond Princess in winter 2018, sailing year-round Japan. Additional creative team talent includes choreography by Shannon Lewis (“Fosse”), scenic design by Tony Award nominee Anna Louizos (“School of Rock”), costumes by Tony Award winner Clint Ramos (“Eclipsed”), and music direction from Brad Ellis (“Glee”). Find more information, including the show trailer here. Norwegian Cruise Line is offering guests another reason to explore new destinations around the world and book their next cruise vacation with $1 deposits. Now through March 5, guests will have five days to take advantage of $1 deposits when they book a new cruise with Norwegian in a studio inside, oceanview, balcony or mini-suite category stateroom. This limited time offer is available fleet wide, providing guests the freedom and flexibility to design their perfect cruise getaway. This is offer may also be combined with other incredible promotions available throughout the month of March. • Norwegian’s popular Free at Sea promotion will be extended through March 19. This signature value-added offer provides guests who book a new three-day or longer sailing in an oceanview, balcony or mini-suite category stateroom with the opportunity to select their preference of two free choices from five spectacular onboard amenity offers†, including free unlimited open bar, $50 towards shore excursions in each port per stateroom, a free specialty dining package, 250 minutes of free WiFi, or Norwegian’s Friends & Family Sail Free offer that allows the third and fourth guests to sail for free on many 2018 sail dates. Inside staterooms, as well as Norwegian’s Studio staterooms for solo travelers, can choose one free offer. Those who want to enjoy more luxurious amenities, can book a cruise in a suite or The Haven by Norwegian® and enjoy all five free amenities†, providing up to $2,700 in overall value to their cruise. • Now through March 19, guests can book a new three, four or five-day Bahamas or Cuba cruise aboard Norwegian Sun or Norwegian Sky with free unlimited open bar and Norwegian’s Free at Sea All-Inclusive*. With this amazing offer, guests will choose from five onboard amenities including a $50 specialty dining credit, $50 towards shore excursions in each port, 100 minutes of complimentary Wi-Fi, a photo package with 10 free images, or Norwegian’s Friends & Family Sail Free offer that allows the third and fourth guests to sail for free on select sailings. • The beautiful state of Hawaii is a cruisers paradise and Pride of America is the only ship in the world that can sail an incredible seven-day inter-island itinerary roundtrip from Honolulu year-round. Guests looking to experience over 100 hours in port time and explore the wonders of four different islands can take advantage of Norwegian’s Free at Sea Hawaii offer, which has also been extended through March 19. Guests who book a new cruise vacation aboard Pride of America, have the freedom to choose from five offers†* to enrich their cruising experience, including a free one-night pre-cruise hotel stay with an option to select reduced airfare starting at $399 from select gateways, a free specialty dining package, free pre-paid service charges for the first and second guest in the stateroom, free $50 per port shore excursion credit per stateroom, or Norwegian’s Friends & Family Sail Free, allowing the third and fourth guests in each stateroom to sail for free on many 2018 sail dates. Guests who book a suite aboard Pride of America can enjoy all five offers. To book a cruise aboard a Norwegian ship, contact a travel professional, call Norwegian at 866-NCL-CRUISE (625-2784), or visit www.ncl.com.